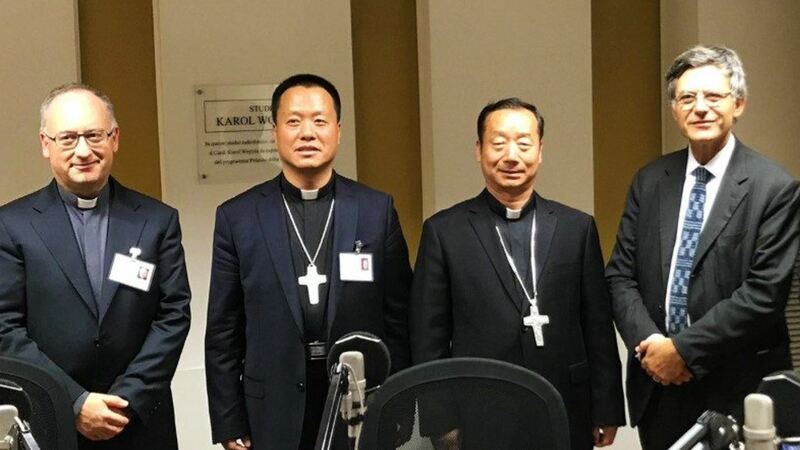 “We feel that the Church is a family,” said the two Chinese Bishops attending the Synod on Young People, Monsignor Joseph Guo Jincai, Bishop of Chengde (Hebei), and Monsignor Jean-Baptiste Yang Xiaoting, Bishop of Yan’an (Shaanxi), during an October 13, 2018, interview with Vatican Radio-Vatican News. They are the two first Bishops of China to take part in a Synod of Bishops, giving their testimony to the Chinese editorial staff. “As a Chinese Bishop, I’m happy to take part in a Synod for the first time. We feel the Church is a family and we received a warm welcome,” said Bishop Joseph Guo Jincai. “For the Chinese Bishops, this Synod is very timely and the subjects that are discussed are those of which we are in need for the formation of vocations,” added Bishop Jean-Baptiste Yang. Bishop Guo Jincai specified that each parish has an Office of Accompaniment of young married couples and engaged couples. “The whole family and the vocation of the family are linked to the growth of the Church and to the service of society. That’s why family stability will do good to the whole society. We must pray for families and for this vocation so that with faith, the marriage promises can be upheld.” Some Chinese dioceses propose, in this connection, regular courses and formation on marriage ethics, to support young people, added Bishop Yang. Finally, they gave a message to young Catholics of China: “Young brothers in the faith, our most sincere intention in this Synod is to listen to the voices of young people in diverse situations, including those of Chinese young people. We pray for you and we will accompany you, listening to your needs. We will help you with pastoral care, as the Resurrected Jesus listened to and accompanied the two young men on the road to Emmaus,” said Bishop Guo Jincai.